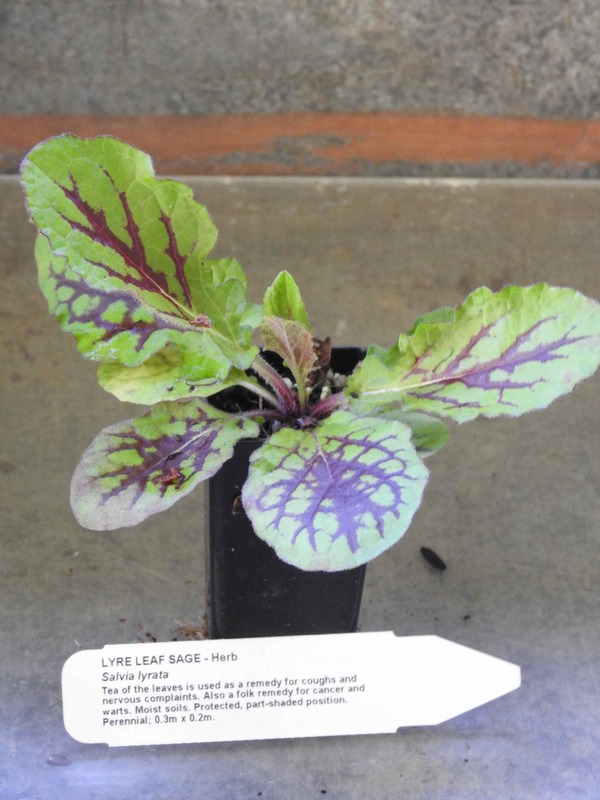 Lyre Leaf Sage plant, Salvia lyrata, is also known as Cancer Weed. A tea of the leaves is used as a remedy for coughs and nervous complaints. Also a folk remedy for cancer and warts. Starkly attractive leaves with spikes of purple-blue flowers. Lyre Leaf Sage plant is native to central and eastern USA and is adaptable to any well-drained soil in a protected, part-shade position. Drought and frost resistant. A perennial plant, growing to 0.3m x 0.2m. Be the first to review “Sage, Lyre Leaf plant” Click here to cancel reply.